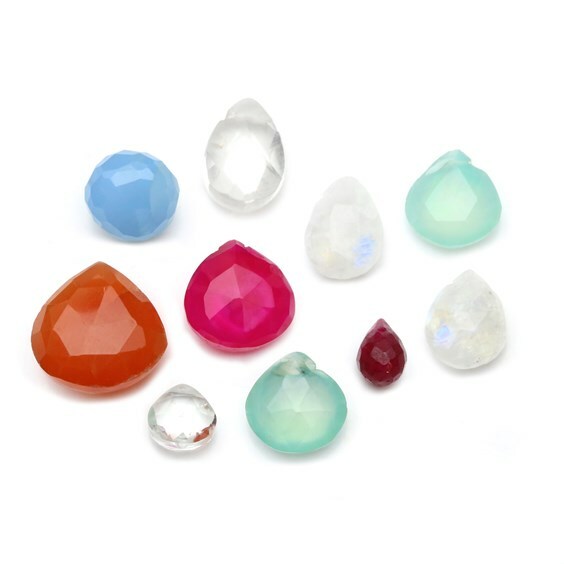 These packs of 8 fully drilled briolette beads are ideal to use for practising your wire wrapping skills or if you can't decide which stones to buy or just want some inspiration to create some beautiful jewellery using briolette beads. 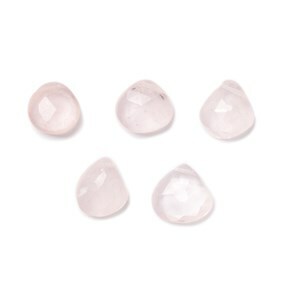 Each pack has been hand-selected from overstocked items, bought samples and beads that may have slight inclusions and imperfections or imperfect drill holes. 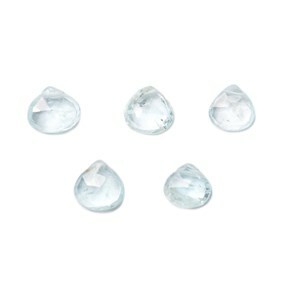 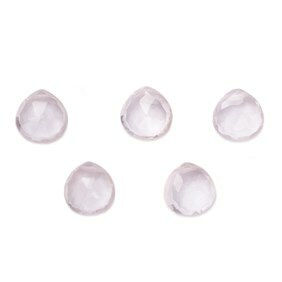 Each pack contains a selection of briolettes of different sizes, shapes and gemstones. 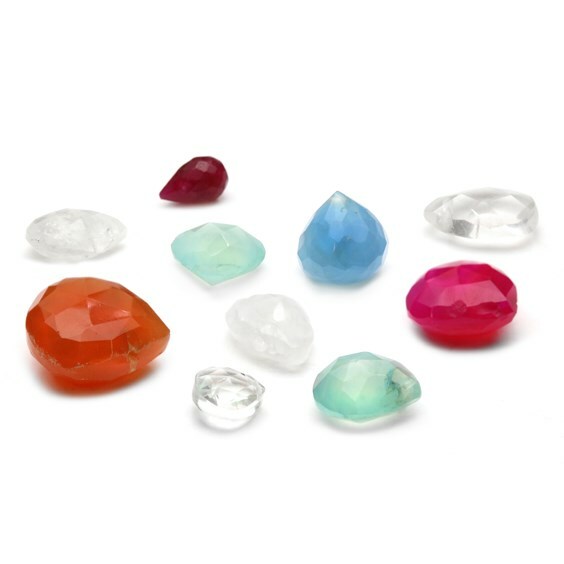 The stones vary in value and if they were all perfect the average retail value would be approximately in excess of £20 but we are offering them at the bargain price of £11.95 per pack. 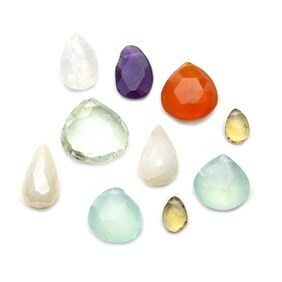 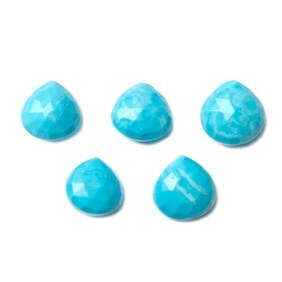 The actual retail value of the gemstones varies from £1.95 to £3.55 each so you should get some real bargains in there! 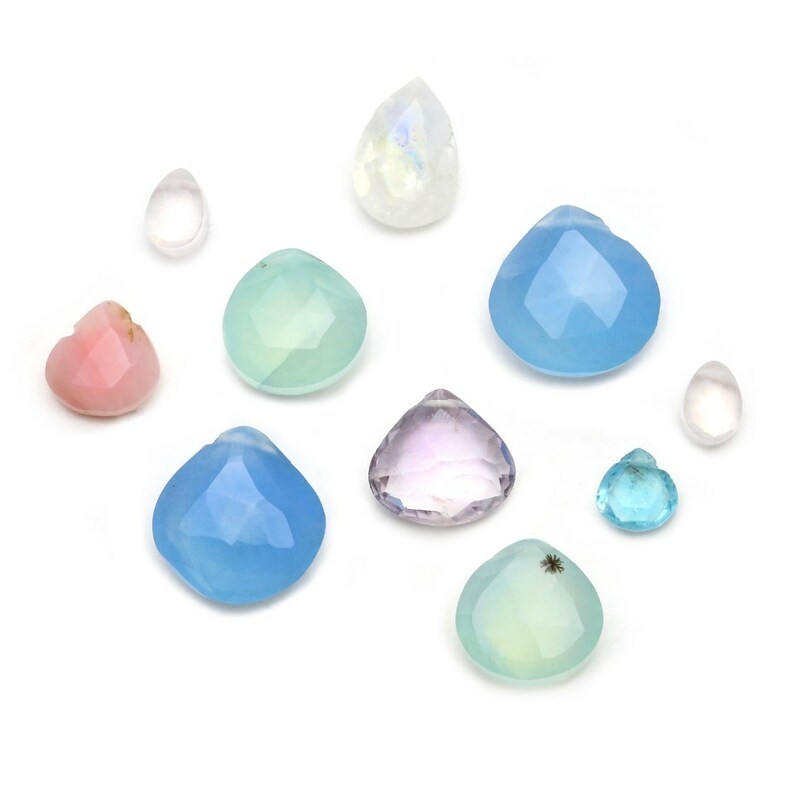 The stone sizes are from approximately 6.5mm to 14mm and although we would recommend using 0.3mm wire, the holes do vary and a more suitable diameter wire may be necessary. To learn how to wire wrap briolettes click here. 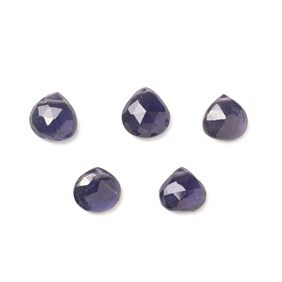 NB The briolettes are similar to those photographed but will vary in gemstone, shape and colour.